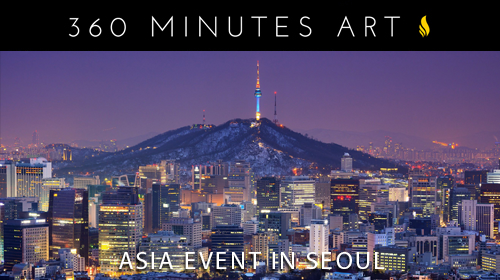 SA-PO Artists Sven Sauer and Igor Posavec are going to exhibit their artworks at the upcoming event “360 MINUTES ART: VOLUME 3″ in Seoul, South Korea. The highly anticipated exhibition, famous for its radical way of presenting original artworks, is going to be held on Saturday, November 22th, 2014, at the Youngeun Museum of Contemporary Art, Gwangju. Youngeun Museum of Contemporary Art found in 2000 on the basis of the Daeyu Cutural Foundation. The Core of Contemporary Art World The museum introduces prominent artists and art works through group shows and sole shows, and, through the artist-in-residence programs, it supports contemporary artists. On the other hand, it holds workshops, artist’s presentation and art-reated projects every year and organizes international exchanging programs. Along with these constant efforts, the museum aims to construct live, discourses on contemporary art and become a core of contemporary art world. The Bridge between Art and the Public The museum holds exhibitions which embrace art-related peopie, art specialties as well as the general public. Furthermore, providing diverse art programs to the public, the museum create more opportunities that the public could enjoy culture and get cultural welfare. Those efforts ultimately contribute to widen the range of art and public role of art for the society. 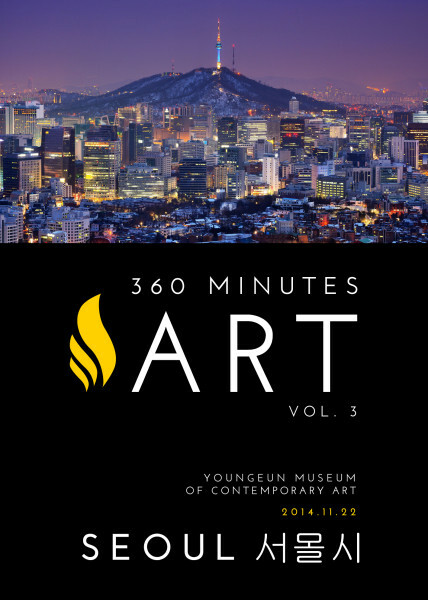 The 360 Minutes Art exhibition runs for exactly 6 hours. Only in this short time frame can visitors admire the unpublished, never seen before artworks. Once the time is up all unsold artworks will be burned and destroyed forever. This socio-critical event inevitably forces us to examine the value of art in relation to the constantly accelerating life of our fast paced society. Sven Sauer and Igor Posavec carry with themselves a large black, sealed bag with the latest original Artworks. Those unique canvases will be exposed only during the 360 Minutes in the Museum of Contemporary Art in Soul. With SA-PO Teman, the experienced members of 360 minutes art: Thomas Wunsch, Babak Nafarieh, Jerry Kowalsky, Joanna Rutkowska and Joanna Sarapata will also expose their works.